Okay. I'm a little late on this one. Very late, actually. 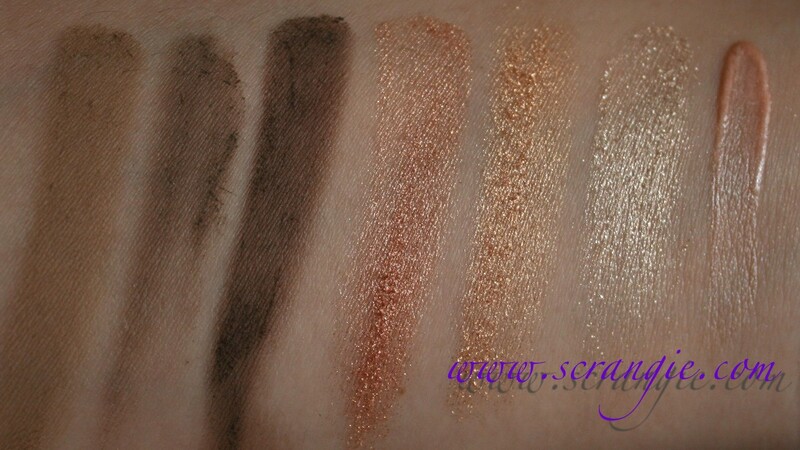 But with all the sparkly, colorful holiday releases, this poor little utilitarian set's review got pushed to the side. 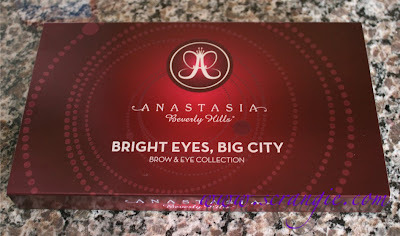 The Anastasia Bright Eyes, Big City Brow and Eye collection is a set of eight different brow and eye care items housed in a silver, crocodile-patterned cardboard palette. It contains: a matte baked trio for eyes or brows, a shimmer baked trio for eyes, a full size Cooling Eye Brightener gel, a travel size Lash Lifting Mascara, a full size Clear Brow gel, a mini dual-ended shadow brush, a mini dual-ended brow brush and a pair of mini slant tweezers. 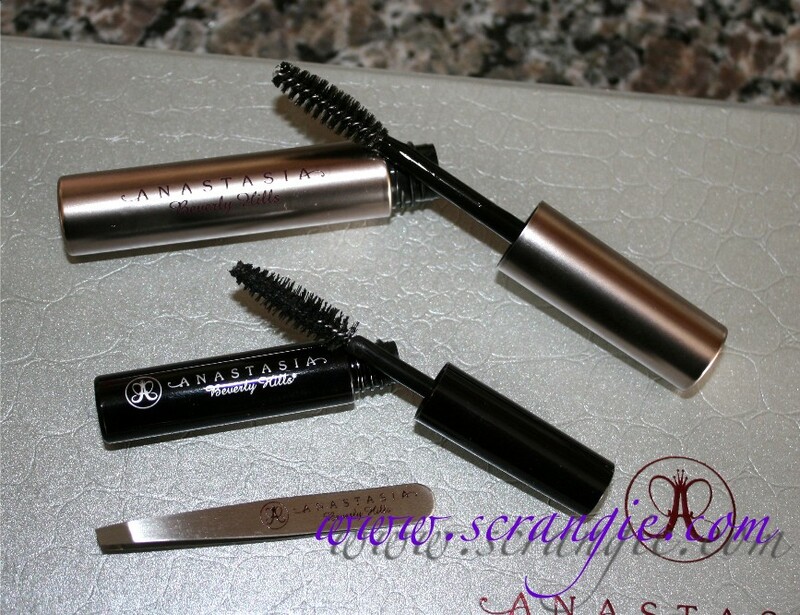 Anastasia Clear Brow Gel, travel size Lash Lifting Mascara and travel size slant tweezers. Left to right: Matte eye/brow trio, shimmer eye trio and Cooling Eye Brightener. I have some very mixed feeling on this set. While I do like the products inside, I feel like the packaging design is flawed. As you may be able to tell from the pictures, the box/palette is very, very large. The products inside don't fill all the space inside the box. There's lots of empty room inside which is not only impractical, but makes for a somewhat stark-looking and unappealing presentation. Nearly all of the items are removable, but the two trios are not, so unless you take apart the palette to remove them, you essentially have this huge, nearly-empty box for just two items. 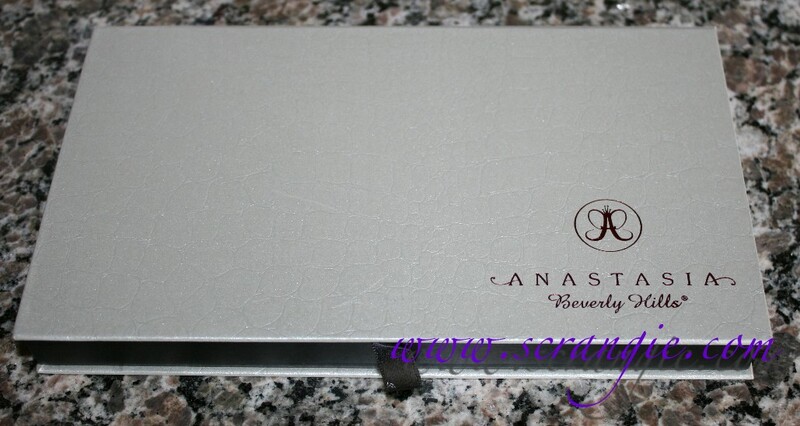 If it had a smaller footprint and utilized more of the space inside the palette to pack in products and not leave gaps, more like this Anastasia set, I'd give it a higher rating. However, this is just too unnecessarily huge and cumbersome for me to enjoy using. I have limited real estate on top of my vanity, I can't afford to have tweezers and brow powder taking up this much space. That said, here's my bullet point list of pros and cons. Anastasia's Clear Brow Gel is amazing and you get a full sized tube of it in this set. The tweezers are sharp and precise and the small size makes them cute and portable. The matte trio has a bit of a stickiness to it that makes it excellent for filling in brows with very little dust or fallout and the color lasts all day. 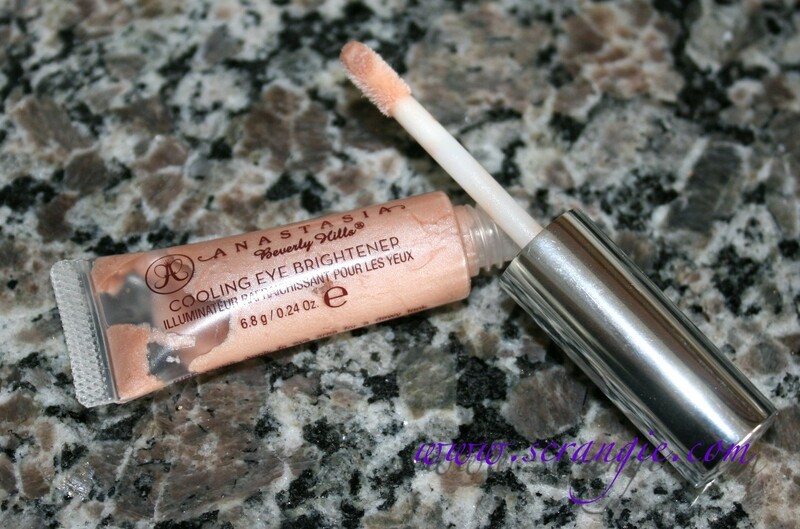 The Cooling Eye Brightener feels nice as long as you don't get any in your eye, and really does help brighten the eye area with a subtle pink shimmer. Palette is excessively large. Not enough products inside to justify the enormity of it. The plain grey box isn't very pretty to look at when it's this big and unadorned. 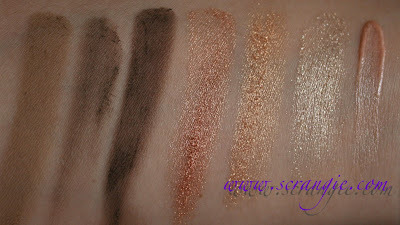 The matte trio was a little too sheer and streaky to use as shadow; the shimmer trio was flaky and had lots of fallout. The Cooling Eye Brightener feels minty and burny if you get it in your eye. The Lash Lifting Mascara was dry and didn't do anything for my lashes. The shadow brush is scratchy and a little bit floppy. Overall, I love the matte powder trio for brows (I use the darkest shade), I adore the brow gel, and the tweezers actually work really well. I don't really know what to do with the Eye Brightener, but it's a fun little novelty for the cooling sensation. If the palette was about half the size or the trios were in individual compacts and removable, I'd give this a much higher rating. The box is just too big and plain-looking for me to really love this despite the usefulness of the products inside. 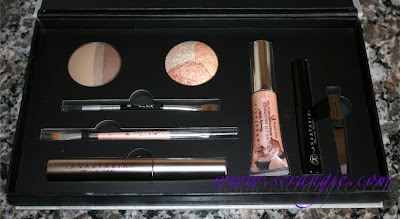 This set is available at Sephora and Dillard's, but it appears to be sold out online. 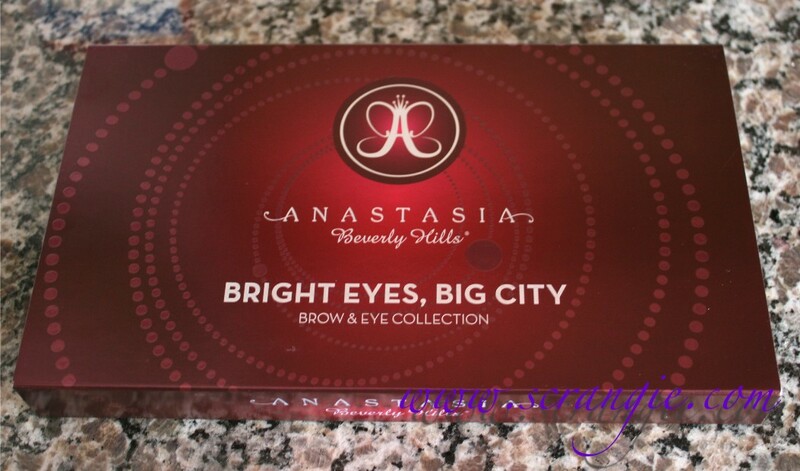 It's still available on Anastasia's website and is on sale for $39. Weird that they didn't just put the brow/shadow colors into little compacts (thinking circle ones like Milani does) so that you could just chuck the box if you wanted. I have a sample of the brow gel which is very nice. 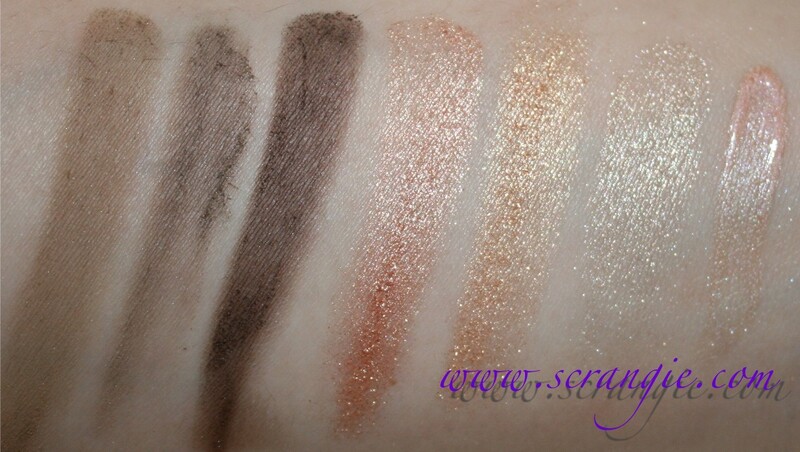 I tend to avoid the brow powders, though, as even the lightest is too dark for me. The cooling eye brightener looks interesting. Can you buy the items seperatly? Cassykins, I thought so! It would be cuter to look at and more useful that way, if you ask me. Speaking of too-dark brow powders, I hear a lot of people say they use eyeshadow as brow powder, I wonder if a neutral shadow like MAC Soft Brown would work for you? The packaging is definitely strange! I'd probably rather just buy the product I like separately. The eye brightener seems intriguing though! I don't think I'd buy the shadows. They're not really anything new or colours that I haven't seen before. The brow gel, mascara and eye brightener, on the other hand, might be fun to try on their own.